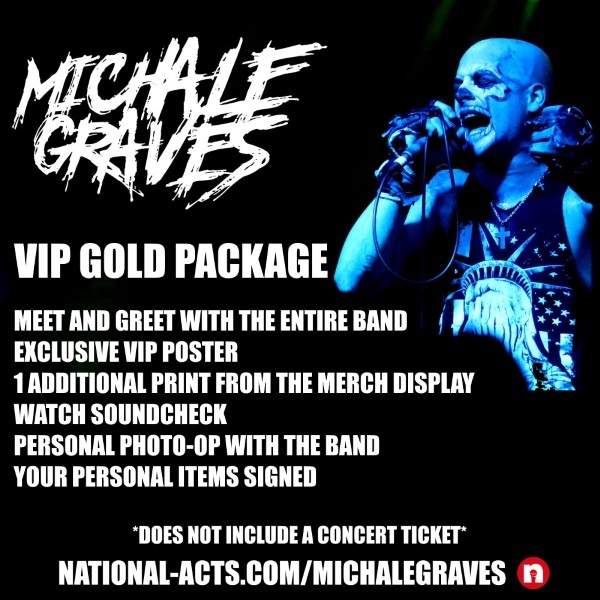 Tickets for Michale Graves VIP - Deinze, BEL in Deinze from National Acts Inc.
You will receive an email within 24 hours of the show with the specific meet and greet time and instructions. More information is contained in your confirmation email after you purchase. ***From time to time the items in the VIP Packages sell out. 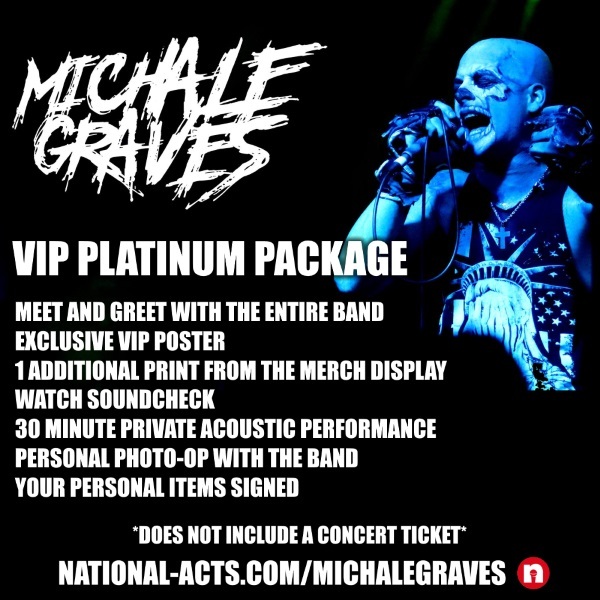 Michale Graves reserves the right to change the contents of the VIP Package at any time based on availability. Not receiving certain items in the listed package does not entitle you to a refund or a discount. ALL VIP PASSES ARE NON-REFUNDABLE. NO EXCEPTIONS! © 2019 National Acts Inc.. All sales are final. Tickets are non-refundable.